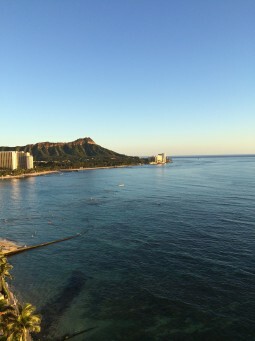 The Sheraton sits next to the Royal Hawaiian and the Moana Surfrider a Westin Hotel. The hotel is massive with 31 floors, a lobby full of shopping, an infinity pool and beach access and lots of dining. The hotel website provides information about transportation options to the hotel. One option is a “Starwood Shuttle” for $13 each way. 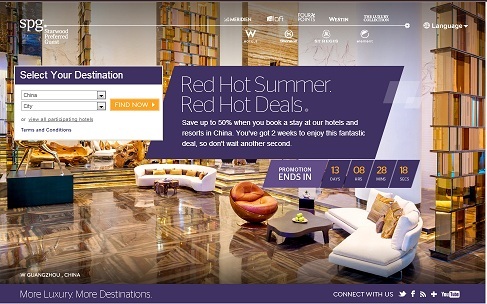 The site says you will be greeted at the airport by someone with a Starwood sign. The other options were rental car or taxi. 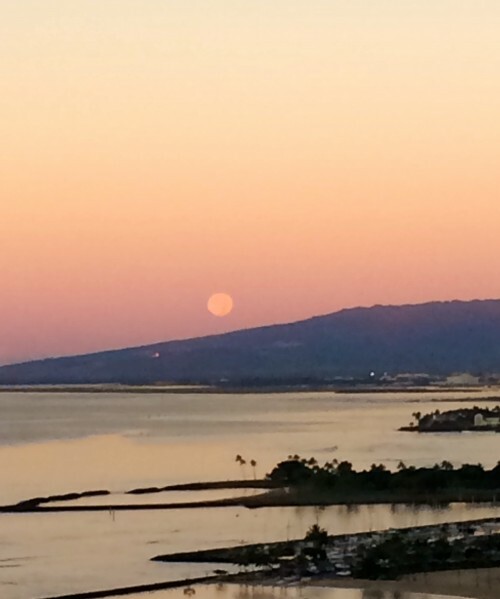 A one-way taxi is $80 (Uber hasn’t made it to Honolulu just yet.) Finding the shuttle upon arrival was a little confusing because the signs actually said Robertson Hawaii, but it was a good cheap option. I proceeded to check-in which is in the center of the lobby. The first floor is open-air and was very reminiscent of Thailand and Vietnam. For me, check-in was quick. There was no one else in the Starwood Preferred Guest line. There were at least 20 people in the non-preferred line – most from a tour group. At check-in I was informed that I had been upgraded to a suite, but that the suite was not yet available. They took my cell phone number and said they would call when the room was ready. I decided to walk around and find somewhere for lunch. There were dozens of choices, but most were pretty busy at 12:30. I grabbed some lunch, checked out some of the shops and then headed back to the hotel around 2pm. I checked the front desk and the room wasn’t ready yet. I was still in my jeans and long sleeve shirt from the flight, so I decided just to find a spot to sit and have a cold drink. After about an hour, I was pretty hot and ready to cool down. I asked if I could use the Club Lounge and they said of course. It would have been nice if I’d been told that upfront. The lounge is located on the 30th floor and has 180 degree views of the beach and mountains. There was plenty of seating in the lounge, and at 3pm there was only one other person in there. I plugged in my fully drained electronics, grabbed a drink and relaxed. Around 4pm I asked the lounge host if he could check on the room. It still wasn’t ready. I was starting to get very tired and could barely keep my eyes open. At around 5:30 they put out appetizers and some snacks along with free beer and wines. There was a good selection of items and I decided to make it my dinner. Around 6pm the lounge host came over to let me know my room was ready. 5 1/2 hours after arriving, my room was ready. Was it worth waiting for the upgrade? Yes. The views were spectacular. 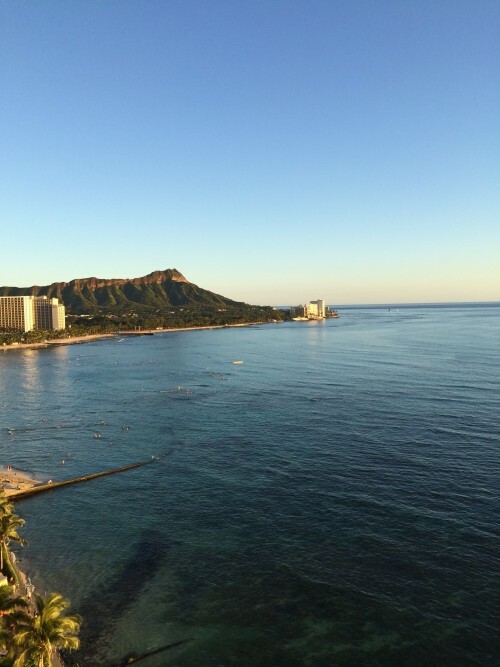 I had a room on the 18th floor with views of diamond head and the ocean. It was awesome. The suite had a living room, dining room, desk/work area, 2 huge balconies, an average size bedroom with two double beds and one bathroom with a combo tub/shower. The only thing in the room that looked a little dated was the bathtub. The room was very clean and comfortable. The hotel is clean and well maintained. Everyone was very helpful and friendly. One of the most unique aspects of the hotel was the platinum amenity. I was given a small brown bag and told that I could take anything from the gift shop that could fit in the bag. 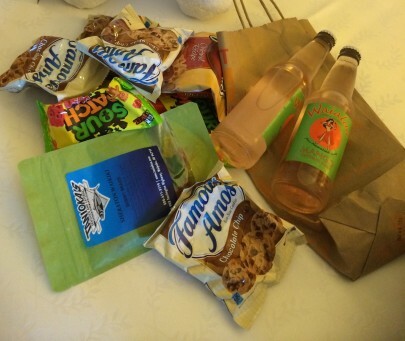 The shop was stocked with drinks, beer, wine, candy, snacks and a few souvenirs. That was one of the coolest amenities I’ve ever gotten any any Starwood hotel. Another unique feature of the hotel is room service. All room service deliveries come in take-out containers. Yes, that’s right, no tray, no real utensils, just cardboard boxes and plastic silverware. 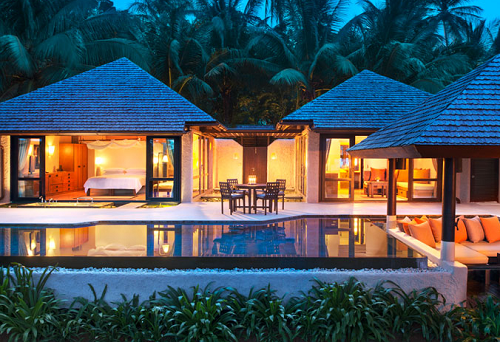 The prices, however, aren’t any less than you’d pay at a full-service room-service hotel. A small salad and cup of soup cost me $20.00. As I said, I was very impressed by the hotel. For a Sheraton, I think it was above average and I would absolutely stay there again. This content is not provided or commissioned by the credit card issuer. Opinions expressed here are author.s alone, not those of the credit card issuer, and have not been reviewed, approved or otherwise endorsed by the credit card issuer. This site may be compensated through the credit card issuer Affiliate Program. 3 Comments on "Sheraton Waikiki Review"
I stayed at the Sheraton last November for 1 night as wasn’t overly impressed. Good location, but it reminded me a little of the mega-hotels in Vegas and I got small room facing the city. That said, the best feature about the property is the INFINITY POOL. I’d go back again just for that! I am pretty sure the Sheraton must have been aware that you would be writing about them. Most folks don’t have that kind of luck. As a matter of fact there are many people who have booked their trip or a honeymoon to one of these hotels only to be extremely disappointed after learning the difference between oceanview and oceanfront. They made you wait. They gave you free items including alcoholic beverages. I wonder what room they were originally going to stick you in before learning you would be writing about them. It sounds as if they panicked at the last minute……or, your just an average joe, traveling alone, on business with your computer and got lucky. 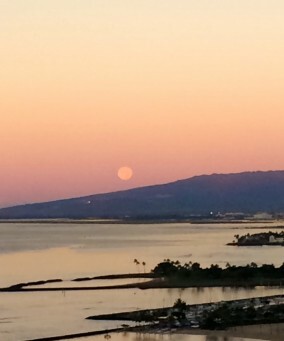 Hopefully, some poor young honeymooners didn’t lose their view that evening. @Callie – Starwood does not take care of me because I may, or may not, write about them, they take care of me because I stay more than 100 nights a year (118 in 2013) and spend a lot of money with them. 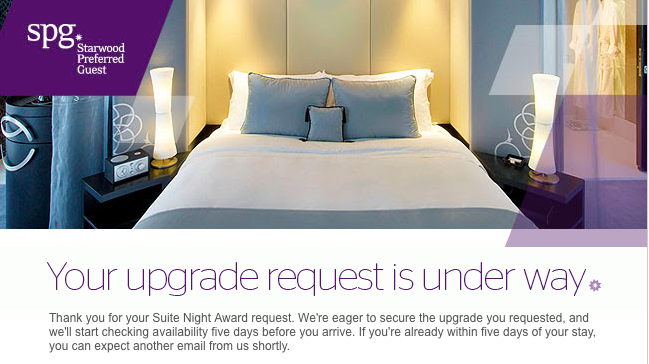 Platinums are entitled to space available upgrades and can request Suite Night Award Upgrades. Additionally, I looked at my reservation the day before arrival and the suite had already been noted, so there was no panic. Everyone who is a Platinum guest at Starwood gets the free items, not just me. I believe the reason I have the luck is because of how much I stay with Starwood.